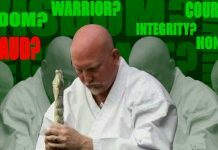 The first article we wrote for Budo magazine was about finding the right teacher and tracking the “WAY”. As described in that article, training with the wrong teacher is not called training at all; it is better to wait 15 years to train with the right teacher than studying with the wrong one now. I learned this from a great swordsmanship teacher, Kubo Akira sensei, and a great BJJ teacher, Professor John Machado, proved the same principle to me. That being said, decades of teaching allow me to ask the another important question of you: What is the right student? Today we are facing “fast food” martial arts schools. Kids at the age of 7 hold black belts. There are so many “experts” on the market who have only 2 years of training. The martial arts market is teaming with people making money from students receiving their black belts too quickly. There seems to be more business-oriented people than true martial arts teachers and students. It also seems that students don’t want to (or don’t know HOW to) act as students anymore. A large part of the problem is there are not many real teachers out there who know how to mold students into being students first. Many in teaching roles today simply view “students” as customers with the “teachers” “rubber stamping” certificates in exchange for cash. So many of them are willing to sell you the new “package”, or “kit from A to Z – buy today and be a Black Belt tomorrow”. We see “experts” in virtually any field you can name, and some are made up. The “grand master” says take this class today and run your own program tomorrow . . .
It’s shocking how many people we’ve met in the last 5 years, who have taken a “course” yesterday, their first time training with firearms or self-defense, and we see them popping up with DVDs and marketing full systems for Israeli shooting, ground fighting, and whatever else they can think of. They are marketing guys who want to make money off of unsuspecting students who don’t have the knowledge or background to ask about the legitimacy of what is being taught. It’s DANGEROUS. These “students” who then become “teachers” don’t seem to want to think for themselves, to search for and find the answers themselves, but are ready to buy the packaged kit with the cool t-shirts, coffee cups, expert DVDs, certificates, and car stickers so everyone can see how “amazing” they are so they can get more unsuspecting “customers/students”. Believe it or not we fully appreciate the logic behind the idea that the student needs the teacher and the teacher needs the student. Without the two meeting, it is hard to get a school running and for it to become a place to study, as it should be. The reality is teachers do need to pay rent and feed their families, and the students need to be able to go to a place to obtain knowledge. Unfortunately, sometimes truly great teachers have to limit the number of students because they are unable to manage a school due to a lack of management skills. Likewise, we see a “grand master” in the market with mostly yellow-belt students running very successful chains of “McDojo’s” even though he has virtually no martial arts skills . . . but he does have decent business skills. Is the student really learning anything of value though or is it just a workout? In our opinion there is a need for legitimately good teachers with business sense enough to succeed in the market. 5 years ago I was shown a DVD made by some Israeli martial arts “experts”. The DVD contained the following (paraphrasing): “This is not traditional martial arts . . . this is no-nonsense martial arts”. When I saw this, I wondered, “who are those people who make such claims, what right do they have to think that traditional martial arts are nonsense”. This is what opened my door to the civilian market for first time. I did some exploring and was shocked because the “experts” and “instructors” from many of those systems and organizations I encountered, didn’t even know how to correctly throw, choke, kick, punch or many other basic martial arts moves. They kept talking about “keeping it simple” but none could get out of any hold or perform basic self-defense. Yet, they were marketing to students that they “KNOW” all about how to “drink tea with a full cup”, all the while “tapping on their ego” (as we say). If they fall from their Ego its like falling from a high building. They are “Grand Masters” only because of their business associations. In a good martial arts school they would never cross the level of yellow belt. Such missed knowledge leads to DVD’s showing the “grand master” teaching gun disarming by pointing the gun at his stomach so his fat abs will stop the bullet . . .
KAPAP Academy, as described in a previous article, decided to perform the Gideon Test with our students. We have been providing KAPAP Level 1 Instructor Certification courses and carefully examining what the students do once they get their course certificates. How do they act, what do they tell people, what do they choose to do with the knowledge, what do they represent to the public? After 5 years of teaching, we have only a handful of official instructors we consider to have passed the Gideon Test and who have received their official teaching license and certificate from us. 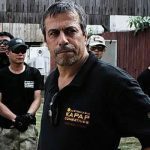 There are many who show their Level 1 Certificates (which only means they have completed the course), claiming they can teach KAPAP, but they have failed the Gideon Test because they have not taken the steps to become officially licensed as KAPAP Instructors. They are not plugged into our system and do not have access to our full knowledge. We are not in the “McDojo”business, and we want the reader to know that when they learn from a Licensed KAPAP Instructor, it is someone we have personally approved to share our knowledge of KAPAP with people. We believe in our instructors and we can trust them to truly teach and develop true students. These are people we consider to be our true students and who can then impart our knowledge to their students. They will continue to learn and advance as our students (and thereby advance their own students) as long as they are willing and able to. They are not people who are solely motivated by money, and they have skill. If you see anyone marketing ANY level of KAPAP instruction who cannot ALSO show you a teaching certificate,and who ALSO does not a appear on our web site as confirmed by us as certified instructor, then he or she is NOT a licensed KAPAP Instructor and you should be wary. So you know, part of the Gideon test was essentially to meditate on the Sounds of Silence . . .
Four monks decided to meditate silently without speaking for two weeks. By nightfall on the first day, the candle began to flicker and then went out. The first monk said, “Oh, no! The candle is out. Believe it or not, we have seen in this market a grand master that passed a way years ago who is somehow still signing Israeli martial arts certificates. We want you to know we are alive and here to answer if our students are qualified or not, so please ask us, and don’t believe everything you see out there. It’s easy to hide behind a dead teacher and claim you were his best student; it is hard to do that wi thus because we are alive to hold our students accountable. Many love legends about dead teachers and don’t want to deal with living teachers. So, what is the right kind of student? It could it be the one that really wants to study with you, but in this market, does the student really want to study under you or just want to buy his certificate (the faster the better)? You must ask yourself this question. We generally teach our students and instructors to be open minded about many martial arts systems. Sometimes, however, I tell my students “no, you can’t study some systems because what we do correctly is incorrectly taught in other systems, so how can you teach in one class the correct move, and then teach in another class a different system that has the wrong move?” It can be done if the systems do not counter one another, but otherwise it is completely illogical. This reminds me of a Zen story about Chasing Two Rabbits . . . The hunter who chases two rabbits,” answered the master, “catches neither one. 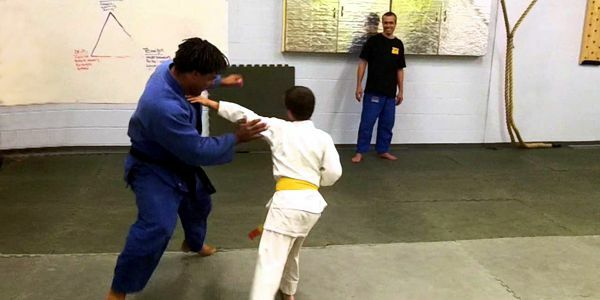 In some schools all the students are so good that it takes only a year and a Chase credit card to get a black belt. In other schools you can pay only with time, sweat, tears, blood, and hard work. Which one would you chose to teach in or learn from? Some go happily to the bank with the money from their sucker students. 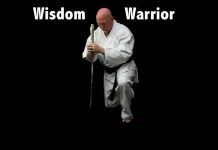 Others teach with a budo philosophy, which is how in KAPAP, we choose to teach. “We have been asked many times how long it takes to become a KAPAP black belt and we say it takes10 years. If he keeps asking, “what if I train real hard and do not sleep?” – the answer will be, 20 years. Every teacher will choose the students he wishes to teach. That also means the old saying “stupid teacher needs stupid students” proves true. But some think it is smart because it serves all purposes – the student wants the belt and the teacher gets the income. Unfortunately, the reality is the teacher gets rich and the student is rich with a belt but poor in useful knowledge. If you don’t accept your teacher as teacher, but rather you think about him as store that supplies certificates and belts to you, then you are the wrong student for KAPAP . . . There are many rich “teachers” that will be more than happy to get you to be their best student, best body-guard, best champion, best “expert level instructor”, etc, as you pay your way to the top. The reality is bad students become bad teachers. That’s the main problem we see in the market today. There are too many teachers who should still be students of good teachers. Sometimes I dream that all will get back to the old way, but then I wake up and ask “do I dare to dream that?”. So I will end with a nice story about dreaming . . .